The Eagle H-beam rod has been a staple of the engine builders community for ages now. The Eagle SR20 rod is a forged H-beam that is great for mild to 700+hp. Great price for a great product for your SR! Also recommended for higher revving engines. Fits SR20DE and SR20DET engines. Eagle's commitment to quality and service has resulted in customer loyalty and satisfaction. This, in turn, has fueled rapid growth over the years. 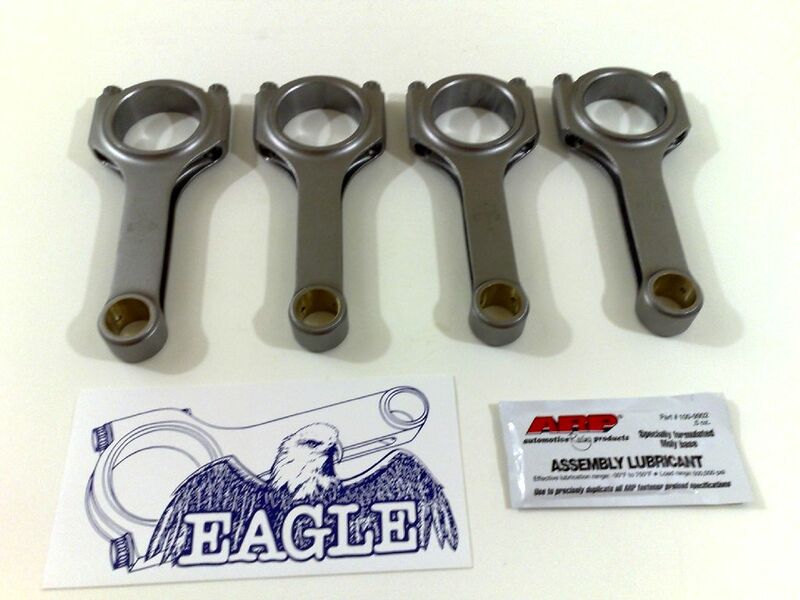 Eagle added crankshafts to our lineup a few years later as well as expanding our offerings in connecting rods. Continuous design improvements and improvements in materials and manufacturing techniques have resulted in Eagle being the largest and most respected aftermarket connecting rod and crank manufacturer in the industry. We never stop researching ways to make our products lighter, stronger, more efficient to manufacture, and more diverse. When you stop moving forward, you get passed by the competition.